The International Maritime Organization (IMO) has amended the Safety of Life at Sea (SOLAS) convention in the wake of several maritime safety incidents between 2007 and 2015 believed to be linked to inaccurately-reported container weights. Under the new rule, effective July 1, 2016, ocean freight carriers worldwide will be prohibited from loading a container aboard vessels in 162 countries worldwide unless the Shipper (as identified by the Shipping Line B/L) has provided the carrier with the verified gross mass (VGM) of the container. The VGM must be provided to the carrier either digitally or signed and noted on the bill of lading prior to vessel loading. 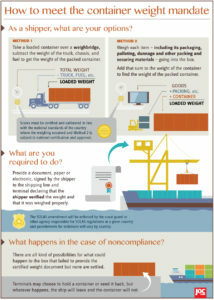 How is the New SOLAS Rule Being Implemented? Method 2: Adding the verified weight of the contents of each container to the container tare weight. 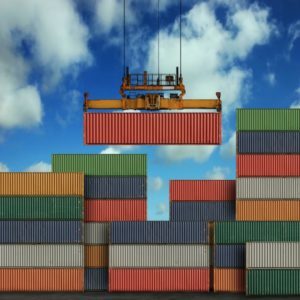 Though enforcement of the new rule will go into effect on July 1, questions that stakeholders around the world are struggling to address include how container weights should be determined, be reported to carriers, how will the rule be enforced, and what is the implication of non-compliance. At present no single global standard exists for the above, and it appears unlikely that such a standard will be adopted prior to July 1. Even within the United States, there is no uniform standard for how to obtain container weights and communicate them to carriers. There is also uncertainty over how far in advance VGMs will need to be submitted to carriers. It appears that carrier cutoff times for VGMs will vary from vessel cutoff times – with VGM deadline dates occurring earlier than general cutoffs, depending on the carrier. As a general rule, carriers are requiring VGM receipt prior to containers being received at port for export. Carriers are further advising that if the VGM is not received by their deadline, costs will be incurred for the account of cargo which may include port weighing charges, additional terminal handling, container roll charges and demurrage. Argentina – Weight must be accurate within 5%. Canada – Spot checks will be performed on container weight. 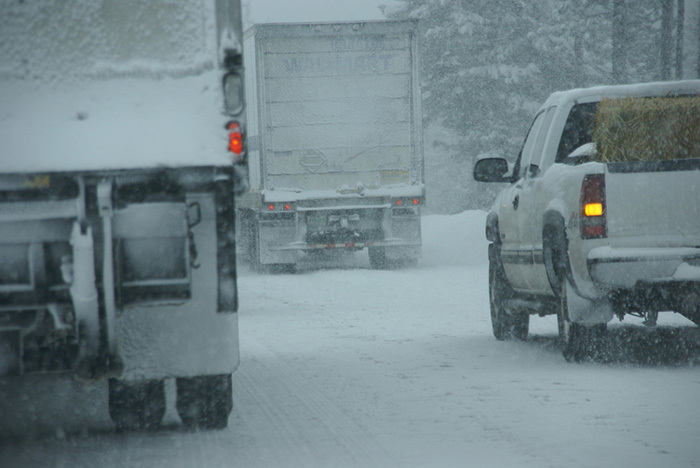 Violators will be fined ranging from C$600-C$1,200. China – Weight should be within 5% or 1 Ton. India – Weight must be exact within 200 kg. Japan – Fine of up to USD 2,600 per violation if there is a discrepancy of more than 5% in container weight. Russia – Terminals such as Container Terminal Saint Petersburg and NUTEP Novorossiysk will allow container weighing at the port, though it is unclear whether the necessary infrastructure will be in place by July 1. South Africa – Auditing, inspections to ensure compliance. Violators can be imprisoned for up to one year or fined. United Kingdom – Shippers planning to weigh the contents and packaging of a container as per Method 2 will have to become certified by the U.K. Maritime and Coast Guard Agency, and pay a fee for their application. Shippers will need to fill out a checklist and provide documented evidence in order to receive MCGA approval, and once certified, will be added to a publicly available database tracking exporters. Shippers must have documented evidence of a process control system such as an ISO 9000 certification, the weighing method used, detailed information of weighing equipment that will be used, equipment maintenance and calibration processes, record retention, training in equipment use and procedures for dealing with faulty equipment. Failure to adhere to the new law (weight must be accurate within 5%) will constitute a criminal offense punishable by imprisonment or significant fine. UAE – DP World has advised they will weigh each container at the terminal and provide the VGM for a fee per container. United States – Coast Guard is leaving enforcement of the rule up to interpretation of, and enforcement by, the shipping industry. Congress refuses to clarify official U.S. Government stance. Speculation of possible involvement by Federal Maritime Commission (FMC) to set clearer guidelines. The shipper (as identified by the Shipping Line’s B/L) is responsible to declare the VGM to the Carrier. The VGM is currently expected to be an electronic declaration to the carrier. The VGM should be transmitted by the shipper’s authorised forwarder or the NVOCC (if not a direct shipment), based on the verified container contents information confirmed by the shipper, including shipment weight (product and packaging), loading/dunnage materials, added to the tare weight of the container. The shipping lines will generally require receipt of the VGM information prior to the container arriving in to port for onward shipment, otherwise cost will be incurred for delay / port handling – which cost will not be inconsequential. In the case of a less than container load shipment, the responsibility for verifying the detail of, and transmission of, the VGM remains with the NVOCC/consolidator/master loader. We will continue to keep you updated on developments, and please be assured that we will work with each of our customers on a case by case basis to ensure that shipments are in compliance with the new rulings, and do not incur unnecessary cost or delay on export. We are pleased to bring you with our compliments, and courtesy of workspace at INDEX, the January 2016 Ventures-ME report on Construction and Interiors within the GCC region, with sector and country specific analysis of activity within 2015 and expected for 2016, including named project spend. With overall market statistics and named project information, the report once again provides unique detail on the commercial, education and healthcare fit out opportunities available to North American companies in the Middle East region. The GCC’s fit out industry has its hands full heading into 2016 due to heightened construction activity, and the completion of structural works on large-scale. Fit out operations have evolved in line with industry changes, and modern fit out designs and practices are transitioning to suit international standards. This evolution can be attributed to the rapid globalisation ambitions of local GCC markets such as the UAE and Qatar. As sustainability has become a major issue, the fit out industry has experienced increased pressure to implement environmentally-responsible practices. Despite the slump in oil prices, the GCC building construction and interiors market is clearly set for a sustained upward stint over the next few years. 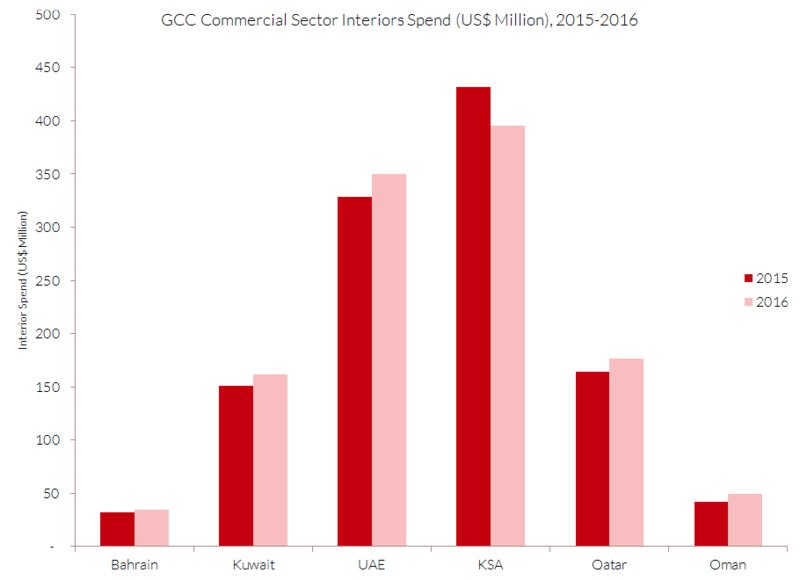 – The GCC interiors and fit out spend in the Commercial Sector is expected to increase from US$ 1,150 million in 2015 to US$ 1,168 million in 2016. – All GCC countries are likely to register an upward trend in 2016 in terms of interior and fit outs spend except for Saudi Arabia. – The interiors and fit out spend in the UAE Commercial Sector alone is likely to increase from US$ 328 million in 2015 to US$ 350 million in 2016. We are pleased to announce that the Campus floorplan for the 2016 INDEX exhibition in Dubai is now open for bookings. Located in prime position at the show, the Campus package once again provides an all cost including freight from the US, complete stand design and build, lighting, electrical and all service charges. Additionally for this year, and exclusively to North American exhibitors, the show organisers are allowing us access to their $ 2m marketing campaign, with an email blast every month showcasing products from North American manufacturers who have confirmed space at the 2016 show. To take advantage of this exclusive opportunity, and to ensure prime location within the Campus at the 2016 show, please contact us at dubaishow@indyfrt.com or +1 (847) 640 7277 to finalise your arrangements. Once you have your space confirmed, you can start bringing your products to the attention of the world’s fastest growing market for your products !